All 20 Premier League clubs have voted to introduce a new measure designed to increase top-flight coaches from black and ethnic minority (BME) backgrounds. The Premier League will now add three BME places to its existing Elite Coach Apprenticeship Scheme, set up in 2013 to develop top-level coaches. A study released on Monday found just 19 BME coaches in the 552 top coaching position at professional English clubs. The scheme will also include three places for female coaches. Premier League officials insist the proposals have been in the pipeline for some time and are not a reaction to growing calls for English clubs to adopt a NFL-style Rooney Rule. Under the Rooney Rule - named after Pittsburgh Steelers' owner Dan Rooney - American football teams must interview at least one BME candidate for a head coach job. What is the Rooney Rule? Introduced into American Football in 2002, the Rooney Rule mandates that teams interview at least one BME candidate when a head coach or general manager position becomes available. 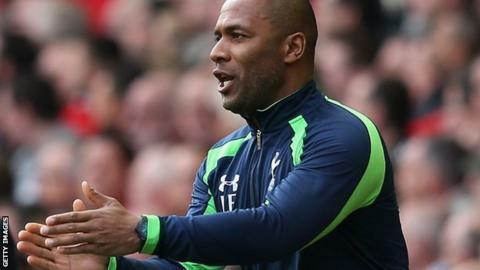 Premier League clubs believe that the measures will boost the number of black and minority coaches in the talent pool and, in turn, bring increased equality to the managerial recruitment process. On Thursday, League Two Burton Albion appointed former Chelsea striker Jimmy Floyd Hasselbaink as their new manager. Hasselbaink, 42, is only the third black manager in the Football League alongside Huddersfield's Chris Powell and Carlisle's Keith Curle.